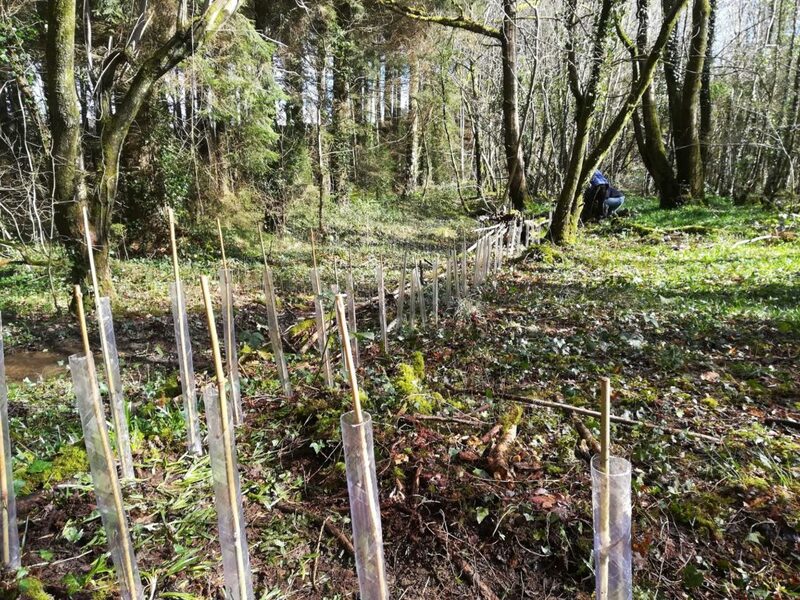 The Woodland Trust (the national woodland charity) is giving away hundreds of thousands of trees over the next 2 years to schools, communities and woodland trusts like ours. 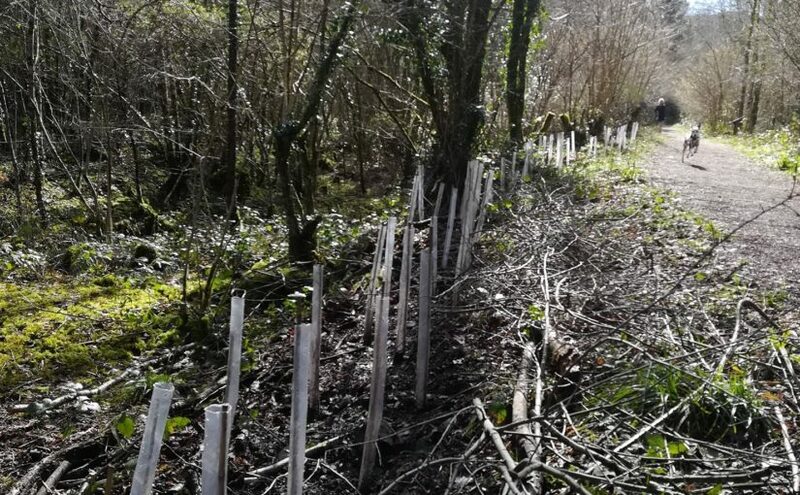 We were very fortunate to receive a free pack of 420 saplings, a mix of hawthrorn, hazel, rowan, oak, holly, blackthorn, elder, dogwood, crab apple and willow. After a stirling effort by our team of volunteers we’ve planted nearly all of them (1 or 2 more final sessions next week). 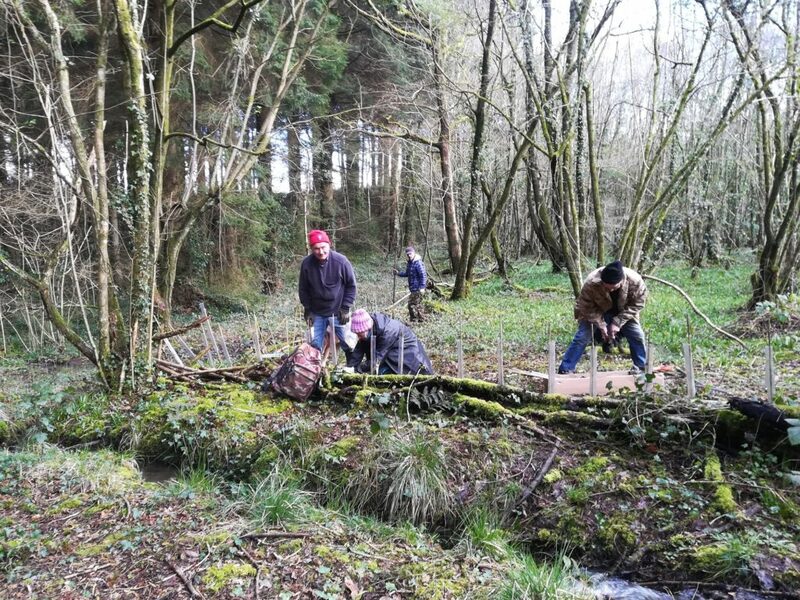 Most planting has been along the main path by our dormouse area to replace the naturally decayed dead hedging. When fully grown the hedging will provide safe corridors and food for the new and visiting wildlife on the site.